Norges bank’s brief was very clear. 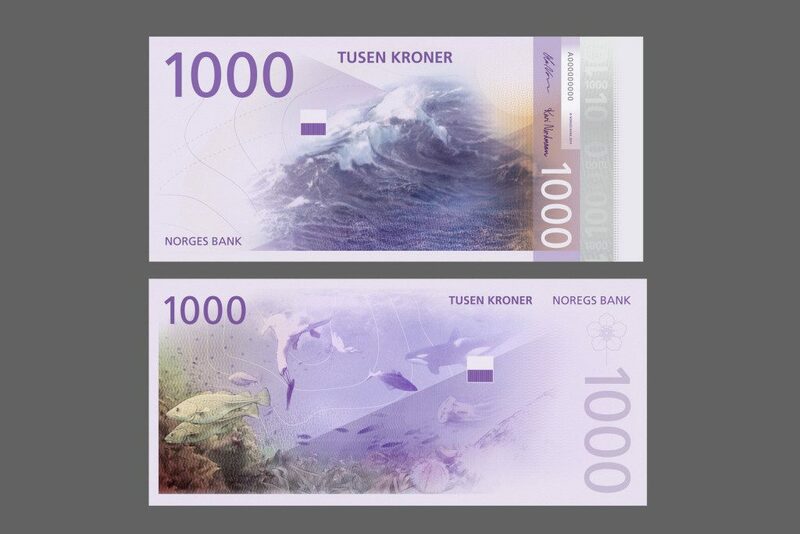 The overarching theme was The Sea, unsurprisingly for a country with over 15,000 miles of coastline, and each note also had an individual theme of its own: the 50 kroner note has the theme of the ocean that binds us together, the 100 kroner, the ocean that brings us out into the world, 200 the ocean that gives us food, 500 the ocean that gives us wealth, and 1,000 the ocean that brings us forward. Metric Design commissioned illustrator Terje Tønnessen to interpret the bank’s theme of the sea in photorealistic style, capturing the inextricable relationship of Norwegians and the coast in drawings, used on the obverse side of the notes. Small details like the use of a different signal flag from the maritime alphabet on each note, make the notes playful and endlessly interesting to examine; put together in a certain order the flags will spell out the letters NORGE, meaning Norway. The reverse side of the notes features a series of pixel motifs from Snøhetta Design with cubic pat-terns depicting where the sea and land meet, reflecting the communities which thrive on the coast through abstractions of the sea. 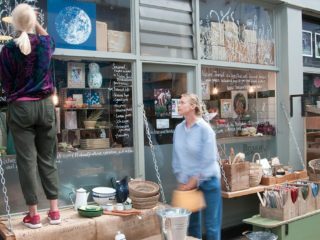 Each note also follows the Beaufort scale as an expression of wind speed, with a wave design that changes as the denomination of the note rises. On the 50 kroner note the wind is light and so the cubic patterns are short forms, and the waves are long and gentle. On the highest denomination note, representing a strong wind, the rectangular forms are elongated and the waves are short and choppy.